I LOVED the first book in The Project Paper Doll series, The Rules. In other words I was super excited for The Hunt to hit bookstores. And very sadly it did not live up to the expectations I had from the first book at all. I do not have that much to say about the book actually so this will probably be a short review. This is one of the books that I have read and did not like but cannot pinpoint what actually went wrong. I had really liked the atmosphere from the first book and in the second book Ariane and Zane are on the run. So do not go into the book expecting the same atmosphere and feel like I did. Since they are on the run I thought that it would feel more high stakes but I actually did not find it to be very action packed or exciting at all. A majority of the book just dragged on for me. A lot of the decisions that Ariane made also frustrated me in this book. I did find some of the storylines that Kade added in interesting though. I did like learning more about GTX's rivals and the trials. The only real reason I stayed with the book is because I really do like the characters Ariane and Zane. I like them as individual characters and I also really like seeing them together. I will read the next installment though so I can finish Ariane and Zane's story. I kind of have to read it now also because of that huge, oh my gosh, what? ?, cliffhanger Kade threw in at the end. Well played Kade, well played. 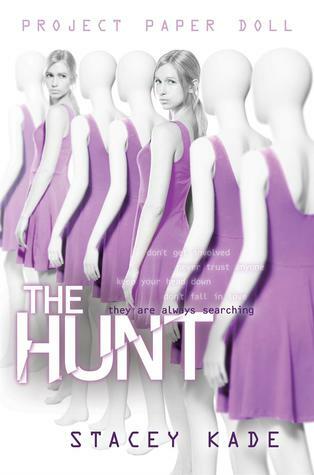 The Hunt fell flat for me as a sequel but I still have an investment in the great characters so I still have to stay with the series. I may not have liked the second book but I do have to point out that the first book, The Rules, was absolutely phenomenal. I just wish the sequel had been like that.